I really love a good space print on clothes. 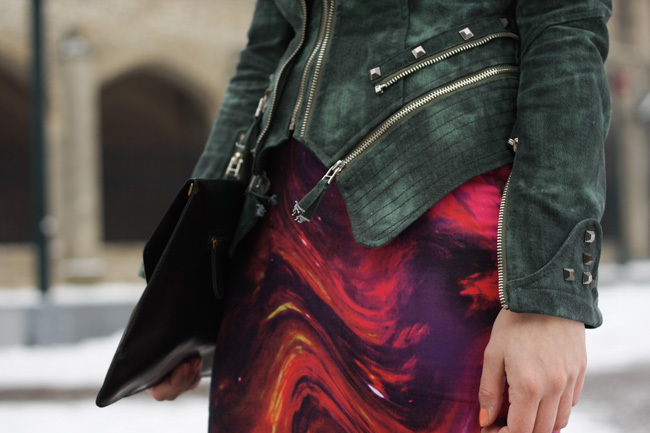 So that's why it was love at first sight when I saw this amazing skirt from Motel. And talk about this jacket, I found it in a boutique in my hometown and I really like the fit and the structure of it, almost designer like don't you think? The creepers are from Burberry, the clutch is from Beginningboutique and the bracelet and necklace are from H&M. Hope you all had a great weekend?